NOTE: This FAQ has been put together by various members of the community after I realized NUMA did not have a Frequently Asked Question's section. Thank you to all who have contributed and I hope this gives people the answers to the majority of their questions. If you have suggestions for new questions, extra sections or more N resources, leave a reply in this thread and myself or a Global Moderator will get to it. Where are all the maps? What happens when I click "Report Abuse"? NUMA wont let me log on! What do I do? Why are thumbnails broken in Opera? **note: Clicking on the questions will reveal the answers. All information has been put into a [spoiler] tag to keep it organized and neat. - Ratings - NUMA features a simple rating system from 0 to 5 ninjas, with the ability to rate maps in increments of 1. Only the map's author can see the average rating until a map receives at least five ratings, at which point it becomes public. Note that favorites are ordered by date the map was submitted, not the date you added them to your favorites. - Bitesize - Bitesizing was an addition to NUMA used to highlight particularly good or interesting maps. Bitesize NUMA no longer exists, but the maps that have been bitesized in the past retain the "bitesized" tag and can still be viewed. Replacing Bitesize NUMA is a new addition called Featured Maps. - Featured Maps - The latest and greatest addition to NUMA. These maps have been deemed excellent and reviewed by a user with the appropriate permissions. Each featured map appears for 24 hours on the NUMA homepage, and past maps may be viewed in the Featured Maps section. - Hot Maps - Another new addition to NUMA since the redesign, Hot Maps is kind of like a mixture between the newest maps submitted to NUMA and the now defunct Top Rated list. When you submit a map to NUMA it goes straight to the top of the Hot Maps page for others to view. But as the map is (or isn't) rated, where it goes on the front page is determined by what rating has been given it. A map that receives a higher rating will be pushed to the top of the Hot Maps section, while a map that gets a lower rating will get pushed to the bottom. - News : Shows the latest updates and announcements to NUMA, whether it be a notice about spamming, new moderators, or the Dronies. - About : Describes what NUMA is and the policy on Multi-Accounting which is also included in this FAQ. - FAQ : Shows the FAQ that is on NUMA. If you're reading this on NUMA, you should already know what that link does! - Hot Maps : Shows the latest maps on a float/sink system, so that higher rated maps appear closer to the top and lower rated maps appear closer to the bottom. - Active Authors : Shows the last 10 authors that have submitted maps, as well as their 6 most recently listed maps. - Featured Maps : The list of featured maps from the time it was implemented until now. Updates approximately once every 24 hours. The latest Featured Map can also be seen on the homepage of NUMA. - Random : Generates a list of maps at random. - Profile : Displays the number of listed maps, rated maps and favorites that you have. The histogram shows a ratio of what your maps have been rated on a bar graph. Total ratings are how many ratings that you have received from other users. Below all this is your customizable profile. - Favorites : Shows the maps you have favorited in the order they were submitted from most recent to least recent map. - My Maps : Shows the maps you have submitted from the most recent map you have submitted to the first map you ever submitted. - Delisted Maps : Shows a list of your personal maps which have been delisted from the archive. - Submit a Map : The place to go if you want to submit a map to the N User Map Archive. - Who's Who : Shows a roster of the current NUMA staff. - The Sunday N : A series of weekly posts by Alex Kurcharski (aka KinGAleX) featuring notable N maps and other community news. It is now discontinued, but the archive remains online. - N Homepage : Your source for all things N.
- Forums : Takes you to the current N forums where you can hang out and be involved with a thriving community and discuss anything from NUMA and N to the latest world news. [spoiler=Q: I have completed a map and I would like to submit it to NUMA. ]A: Great! Follow southpaw's easy, step-by-step guide to submitting a map! - Click on the link that says "Submit a Map" in the navigation bar under the Profile tab. - Give the map a title and description (a maximum of 40 and 1000 characters, respectively). - Paste the map data into the text box that says "Map Data" next to it. - Add any 5 custom tags you think are necessary (or even unnecessary) in the section that says "Tags" and decide if you would like to disable ratings or not. Congratulations! Your map has been added to the Hot Maps page for everyone to see! [spoiler=Q: I can't figure out how to play a map from NUMA in Ned. Help? ]A: Underneath the map description there is a text field. To play the map in Ned simply copy the level data from the text box and paste it into the upper text box in Ned. Then click outside of the textbox in Ned and press L to load the map. [spoiler=Q: How do I add a map to my user levels? ]The following information is a basic guide to the userlevels function. For more detailed information please read the wiki on NUMA Hacking, recently edited by Avarin. count= Modifies the number of maps that will be shown. Due to truncated results and such you may not get results if you go over 50.
start= Shows maps that appear after the number indicated. This means that by giving the number 0 it will show maps 1, 2, 3, etc... but by putting in the number 1 it will show maps 2, 3, 4, etc. The "?" is important when building your own userlevels URL. Any arguments that you want to place after http://nmaps.net/userlevels will require the ? to separate the given URL from what you are looking for specifically. How and when to use "&"
When using different arguments after the ? you will need to know how and when to use the & command. You never need to use the & command just after the ?. This means that if you wanted to view more than just the first 10 maps on the Hot Maps page you simply type something such as http://nmaps.net/userlevels?count=20. There is one other time in which you do not use the & command but that will be discussed later. You always use the & command between two different arguments. Say you wanted to view maps 11-30 on the Hot Maps page. This involves both the count= and the start= arguments. The end result would look like http://nmaps.net/userlevels?count=20&start=10. The q= argument simply stands for queries, or in other terms, what you are searching for. These can be all the tags that you may commonly search for on NUMA, such as the "bitesized," "action," and "author:" tags. The q= argument has two properties of its own, %3A and +. - "%3A" - This is used specifically for the "author:" tag. You replace the ":" with %3A when doing author: searches of any kind. Creating a q= argument can be helpful if you don't want to switch back and forth between NUMA. If you were to search for an author such as rocket_thumped and you wanted to find all of his playable maps your code would look like http://nmaps.net/userlevels?q=playable+author%3Arocket_thumped. A simpler way to do this is to just put your arguments in the NUMA search box and then replace "/browse?" with "/userlevels?". [spoiler=Q: How do I add a map to my Favourites list? ]A: Find the map you wish to add to your list, then simply click the ninja icon to the left of the map name. The icon will turn gold indicating that it's been added. [spoiler=Q: I want to delete one of my maps, but I can't find a button that says "DELETE". All I see is this "Delist" link. What is that? ]A: Maps on NUMA can no longer be deleted. Replacing this is a function called "Delisting", which can be found to the right of the map name. When you delist a map other users can only see it if (a) it is in their favorites list, (b) it is a Featured Map, and (c) if they know the map number. This means any search you perform using the "Search" function will not return results that include delisted maps. [spoiler=Q: What are tags? ]A: The Tag system on NUMA works like any other tag system. It allows users to find maps by searching for a tag associated with them. For example, searching for "difficult" would find all maps which any author has tagged as "difficult". Tags can also be used to link maps of a series together, by using the series name as a tag. You can also search for multiple tags, or even maps which DON'T have a certain tag: The search "thwumps easy -rockets" will return maps with both the "thwumps" and "easy" tags, and without the "rockets" tag. Most tags are determined by a map's author, but there are four tags that are not editable. The first is the author: tag, which is in the format "author:[username]" (example: author:Arachnid) and simply says who created the map. The second is the rated/unrated tag, which says whether or not the map has a public rating (has been rated by at least 5 people). There is a third tag, bitesized, which could only be toggled by a person with Bitesize rights, but these can no longer be changed since Bitesize was replaced with Featured Maps. The fourth tag is, of course, featured. Unfortunately, the NUMA tag system is currently unable to search for map titles. This feature is expected to return as soon as Arachnid can get it working again. Sometimes you may also get a notice that says, "Truncated results." This is an issue that is planned to be fixed, but as always it is important to be patient and ignore it for the time being. [spoiler=Q: I just signed up or I've been around NUMA a while and seen a few people get yelled at for posting 4 or more maps in a row on NUMA. What is an acceptable amount of maps? ]A: Posting 4 or more maps at a time is a common mistake that new users on NUMA make, and it probably happens once every couple weeks. The NUMA community mostly agrees that if you're new, submitting 1-2 maps over a 12-hour period, and no more than 5 maps per day is a good rule if you want much more positive feedback from other members. Spamming NUMA makes one seem like they are just begging for attention and usually people who do spam the Hot Maps page get ignored; their maps get reported; their maps get delisted; and if the problem continues their account becomes suspended. [spoiler=Q: What happens when I click "Report Abuse"? ]A: The "Report Abuse" link is there for a user to flag a comment or a map for breaking certain NUMA rules. When the link is clicked the comment appears in the Moderation Queue which only Moderators and Administrators can view. This function is completely anonymous, meaning moderators and admins cannot see who flagged a map/comment. Profanity: Profanity is impossible to police and is generally not that bad to have around. Profanity only becomes a problem when it is also insulting or hate speech--and those things are considered abusive with or without profanity. People who dislike your map(s): People are entitled to dislike your maps. In fact, constructive criticism isn't even necessary, but it's expected. Again, criticism of your maps is only a problem when it disparages you directly. Poor maps: People are allowed to make poor maps. People are not allowed to make offensive maps. Spam: People are not allowed to spam. This involves comment and map spam. Report it. Accidental multi-posting: Calling this abuse creates a bit of a misnomer. Report this only if it's way excessive and a mod needs to clean it up. The occasional double post or even triple post isn't typically a problem. Flaming or flamebaiting: If someone insults you directly or attempts to get you into an argument, you may be able to report it as abuse. It is not considered flaming or flamebaiting if a person doesn't like your map. If you get hypersensitive about someone disliking your map, you're the one flaming--not them. Offensive content: Messages can become offensive content when it becomes sexually- or racially-charged or would otherwise offend the sensibilities of the average Internet denizen. Maps which are hateful, offensive, or promote flaming and personal tensions can be reported also. To report a problem, send an email to "[email protected]". If it is a serious problem then it will be dealt with, but please do not expect a response from the NUMA admins. [spoiler=Q: Someone sniped my map. What should I do? ]A: First of all, let me explain sniping. "Sniping" is a form of voting abuse in which someone gives a map a low rating (typically zero), not because they actually believe the map deserves that rating, but for some other reason - to annoy the author, to get back at someone they've been arguing with, to knock a map below theirs on the Hot Maps page, to swing the average rating more than an honest vote would, whatever. It's important to remember, though, that not every low rating is sniping! If your map is getting low ratings, it's quite possible that this is because your map isn't very good. Even if your map has been getting good ratings and someone rates a bit lower, it's not necessarily sniping - not everyone likes the same sort of thing, and some users tend to be more generous with ratings than others (eg. some people give a score of four only to excellent maps, while others give it to any map they think is reasonably good). After all, if we all agreed we wouldn't need an average rating! [spoiler=Q: Am I allowed to have multiple accounts? ]A: Having multiple accounts (known as multi-accounting) is NOT ALLOWED if the accounts are being used to place votes. Anybody who is discovered multi-accounting without contacting the NUMA Administrators via IRC, the forums or NUMA about which accounts they own will have all accounts that belong to them temporarily or permanently banned based on the actions taken with those accounts. This is a response to a NUMA UserVoice post about not many people knowing how to use NUMA's RSS feeds. It is also a way to see newest maps without there being an official page for it. 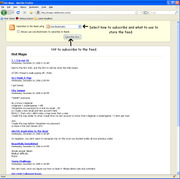 Here is a detailed walkthrough for IE 7 users on setting up the feeds. 2) You're at the feed page. At the top, there's a yellow box. Inside the yellow box, click "Subscribe to this feed". 3) The feed will reload with a new yellow box at the top. Click on the option "View my feeds". 4) The NUMA feed is in your feed list. Whenever you want to access this feed, enter your favorites and click on Feeds. 5) To customize your feed, click "View feed properties" on the right side of the page. You can change the feed name and set options like update speed (I recommend 1 hour) and capacity (just stick with 200). Your feed is set up and working! 2) Hit the little orange button next to the URL. That takes you to the feed. 3) Find the "Subscribe Feed" button. I just put the feed in the bookmarks list. 4) Your feed is now added under the Bookmarks tab at the top of the page. It will show you the ten most recent items in the update without you going to the page at all. I'm still not sure how to set feed properties yet in Firefox. I might update this post when I do figure it out. edit: Hey, I was right. It was a while before I made the Firefox instructions. 1. Save this file to computer. 2. Open http://nmaps.net in your Opera browser. 4. In the "My style sheet" box, browse to the file you saved. If there's a problem with the S3 or SQS, this page will have updates about efforts to fix the problem. For example, check Oct. 21. That was an elevated 500 Internal Server Error rate. So if NUMA's ever down and we don't know about it, these guys are the cause, but they're fixing stuff. Don't worry, complain, and spam threads - just click and look. [spoiler=Q: Can I become a reviewer? ]A: Possibly. Applications are only accepted when there is a need for more active Reviewers and from those applications only a few are selected. Bear in mind that this is an extremely popular position and many applications are sent in, so try not to feel disheartened if you're not successful. All maps on NUMA need feedback so there's still plenty of opportunity to put your opinion across. - TWO (2) sample reviews of TWO (2) maps you think are feature-worthy. Reviews are to be 50 - 100 words in length. - A link to each map. This is a list of some helpful resources for N, whether you want to get better at mapping, are looking for some helpful hints or would just like to be able to play the game better so that you can tackle those more difficult maps. Nreality: Nreality is a cool version of N made by Unreality that allows you to add modifications to the original gameplay of N. To download Nreality, click here. For a list of modifications, click here. ModMaster: Created and being developed by kkstrong, he has this to say about the program: "This is meant to be only a supplement to NReality coding, to ease the way that code is made." To download ModMaster click here. To view the ModMaster thread for help, to comment on it, or to make suggestions for the program and its development, click here. Favorite Authors Plugin for Nmaps.net: Created by sidke, this plug-in allows you to keep watch on your favourite authors by being notified when each one submits a map. This plug-in requires the Firefox browser and the Greasemonky addon for Firefox. To download the Favorite Authors Plugin, as well as Firefox and Greasemonkey, click here. St. Atilla's College for Ninja: Want to get better at N? Then practice these levels by Atilla and others. For help with each level, read the guide by clicking here. NUMA Hacking: Want to get a bunch of levels into your userlevels file without having to copy/paste individual maps off of NUMA? Either read this guide by southpaw, or read the N Wikia page found here, edited heavily by Avarin//Nexx. The Week of Reviews: Back in the Winter of 2009, a period lasting from 25 December to 31 December saw the Week of Reviews, a 7-day period where the Reviewers at the time were allowed to Review as many maps as they so chose. The maps Featured received little attention because of it and so southpaw compiled them into a *.txt you can add to your userlevels file. The majority of these maps are high quality and well worth playing. A List of Map Making Guides - Within that link you'll find some of the most detailed guides, a couple of which are listed below for easier access. The manifestos in there are heavy reading and I feel like a list of them would allow you to see which ones you want to read without cluttering up this list. Last edited by origami_alligator on 2011.09.09 (06:04), edited 9 times in total. Thank you for writing this, Pikman and southpaw and LittleViking. Soon iTunes for Windows is going to force me to download the newest Safari, so I could write one for that. I'll look into writing Firefox instructions, but don't expect them soon. A general rule is, if your browser isn't RSS compatible or you don't know, add the link http://nmaps.net/browse.rss?q= to your favorites or bookmarks instead of trying to set it up. Thanks for the pin, Tsukatu. Last edited by Pikman on 2008.12.24 (17:55), edited 2 times in total. Chrome doesn't have RSS feed capability, as far as I can tell. When you click on the link in Opera, it'll pop up with a box asking you if you want to subscribe to the feed. Obviously, you should press yes if you want to, and no if you don't. You can use any search term as your RSS feed by simply searching for it, and then pressing the orange button in the right side of the address bar. I think the process is similar with Firefox. Opera, IE7, and Firefox all have similar RSS feed subscription methods. I was about to post a topic on how to use RSS feeds, thank you. Keep my new city growing! Click here to check out my levels. Cerberus - "You remind me of Johnny Bravo for some reason, Dead_N." I still think the same idea integrated into NUMA is a much better option overall, but this should be helpful to those who want to know how to use RSS. Ratings - NUMA features a simple rating system from 0 to 5 ninjas, with the ability to rate maps in increments of 1. Only the map's author can see the average rating until a map receives at least five ratings, at which point it becomes public. Bitesize - Bitesizing was an addition to NUMA used to highlight particularly good or interesting maps. Bitesize NUMA no longer exists, but the maps that have been bitesized in the past retain the "bitesized" tag and can still be viewed. Replacing Bitesize NUMA is a new addition called Featured Maps. Featured Maps - The latest and greatest addition to NUMA. These maps have been deemed excellent and reviewed by a user with the appropriate permissions. Each featured map appears for 24 hours on the NUMA homepage, and past maps may be viewed in the Featured Maps section. Hot Maps - Another new addition to NUMA since the redesign, Hot Maps is kind of like a mixture between the newest maps submitted to NUMA and the now defunct Top Rated list. When you submit a map to NUMA it goes straight to the top of the Hot Maps page for others to view. But as the map is (or isn't) rated, where it goes on the front page is determined by what rating has been given it. A map that receives a higher rating will be pushed to the top of the Hot Maps section, while a map that gets a lower rating will get pushed to the bottom. Active Authors - Active Authors is the answer to the Newest page on NUMA. Underneath the Maps heading in the navigation bar you will see a link that says Active Authors. When clicked it will show you the users who have submitted maps most recently. But instead of just being their latest map(s), it shows their 5 most recent maps, so that you can browse through other great (or not-so-great) maps by the author. Q: Can you explain the Navigation Bar in a bit more detail please? News : Shows the latest updates and announcements to NUMA, whether it be a notice about spamming, new moderators, or the Dronies. About : Describes what NUMA is and the policy on Multi-Accounting which is also included in this FAQ. FAQ : Shows the FAQ that is on NUMA. If you're reading this on NUMA, you should already know what that link does! Hot Maps : Shows the latest maps on a float/sink system, so that higher rated maps appear closer to the top and lower rated maps appear closer to the bottom. Active Authors : Shows the last 10 authors that have submitted maps, as well as their 6 most recently listed maps. Featured Maps : The list of featured maps from the time it was implemented until now. Updates approximately once every 24 hours. The latest Featured Map can also be seen on the homepage of NUMA. Random : Generates a list of maps at random. Profile : Displays the number of listed maps, rated maps and favorites that you have. The histogram shows a ratio of what your maps have been rated on a bar graph. Total ratings are how many ratings that you have received from other users. Below all this is your customizable profile. Favorites : Shows the maps you have favorited in the order they were submitted from most recent to least recent map. My Maps : Shows the maps you have submitted from the most recent map you have submitted to the first map you ever submitted. Delisted Maps : Shows a list of your personal maps which have been delisted from the archive. Submit a Map : The place to go if you want to submit a map to the N User Map Archive. Who's Who : Shows a roster of the current NUMA staff. The Sunday N : A series of weekly posts by Alex Kurcharski (aka KinGAleX) featuring notable N maps and other community news. It is now discontinued, but the archive remains online. N Homepage : Your source for all things N.
Forums : Takes you to the current N forums where you can hang out and be involved with a thriving community and discuss anything from NUMA and N to the latest world news. Firefox Extension : An addon to Firefox that takes you directly to NUMA, as well as opens N from your browser. Does not work with Firefox 3 yet. A: You may be wondering why there's no 'register' link anywhere on the site. This is because NUMA's login system is integrated with the N highscore account system. In order to get an account on NUMA, simply fire up N, click on 'configure', enter a username and password in the boxes provided, and click 'create new user'. You can then use that account to log into NUMA. Q: Okay, I've signed up. Where are all the maps? A: Click on the link that says "Maps" in the navigation bar. That'll show you the Hot Maps section. You can also view the Active Authors, Featured Maps, or a selection of random maps using the links in the second tier of the navigation bar. Notice at the bottom you can continue to another page, in case you want to look for a map that was fun that you may have missed earlier. Q: I have completed a map and I would like to submit it to NUMA. A: Great! Follow southpaw's easy, step-by-step guide to submitting a map! Click on the link that says "Submit a Map" in the navigation bar under the Profile tab. Give the map a title and description (a maximum of 40 and 1000 characters, respectively). Add any 5 custom tags you think are necessary (or even unnecessary) in the section that says "Tags" and decide if you would like to disable ratings or not. If you would like to disable ratings on a map, check the "disable ratings on this map" box above the "Submit" button. You can only disable ratings on a map BEFORE it has been submitted. Q: I can't figure out how to play a map from NUMA in Ned. Help? A: Underneath the map description there is a text field. To play the map in Ned simply copy the level data from the text box and paste it into the upper text box in Ned. Then click outside of the textbox in Ned and press L to load the map. If you want to highscore a map on NUMA, download Nreality. Once you have downloaded Nreality, click on User Levels and up at the top you'll notice a text box. Type in the MAP NUMBER ONLY. So if you were wanting to highscore the map http://nmaps.net/1000 you would type 1000 into the text box. Click on "load numa map" and then highscore away. Q: How do I add a map to my user levels? A: Read the Manual that comes with N to find out more about that. For more about adding maps to your userlevels read either this article or this thread. Q: How do I add a map to my Favourites list? A: Find the map you wish to add to your list, then simply click the ninja icon to the left of the map name. The icon will turn gold indicating that it's been added. If you would like to remove a map from your favorites list, simply click on the gold version of the icon and it will turn back to gray. This will signal that the map is no longer in your favorites list. Q: I want to delete one of my maps, but I can't find a button that says "DELETE". All I see is this "Delist" link. What is that? A: Maps on NUMA can no longer be deleted. Replacing this is a function called "Delisting", which can be found to the right of the map name. When you delist a map other users can only see it if (a) it is in their favorites list, (b) it is a Featured Map, and (c) if they know the map number. This means any search you perform using the "Search" function will not return results that include delisted maps. Also, don't worry. You may delist and relist your own maps at any time, as you can still view ALL the maps you have made, listed or not. A: The Tag system on NUMA works like any other tag system. It allows users to find maps by searching for a tag associated with them. For example, searching for "difficult" would find all maps which any author has tagged as "difficult". 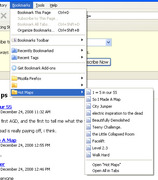 Tags can also be used to link maps of a series together, by using the series name as a tag. You can also search for multiple tags, or even maps which DON'T have a certain tag: The search "thwumps easy -rockets" will return maps with both the "thwumps" and "easy" tags, and without the "rockets" tag. There is also an advanced search available which makes complicated searches easier, in case you get slightly confused about your search results. Q: I just signed up or I've been around NUMA a while and seen a few people get yelled at for posting 4 or more maps in a row on NUMA. What is an acceptable amount of maps? A: Posting 4 or more maps at a time is a common mistake that new users on NUMA make, and it probably happens once every couple weeks. The NUMA community mostly agrees that if you're new, submitting 1-2 maps over a 12-hour period, and no more than 5 maps per day is a good rule if you want much more positive feedback from other members. Spamming NUMA makes one seem like they are just begging for attention and usually people who do spam the Hot Maps page get ignored; their maps get reported; their maps get delisted; and if the problem continues their account becomes suspended. If you have a series of maps you'd like to release all at the same time, a good rule to go by is only post 3 of the series at a time over a 12-hour period. Any more than that and people start to become annoyed. Q: What happens when I click "Report Abuse"? A: The "Report Abuse" link is there for a user to flag a comment or a map for breaking certain NUMA rules. When the link is clicked the comment appears in the Moderation Queue which only Moderators and Administrators can view. This function is completely anonymous, meaning moderators and admins cannot see who flagged a map/comment. From there a moderator/admin will research whether the comment needs to be deleted or the map needs to be delisted. To find out what is abusive and what is not considered abusive please keep reading. Q: How do I tell when a user is abusing NUMA and their privileges to use the site? Temporary problems (such as spam) can be solved by clicking the "Report Abuse" link. A Moderator or Administrator will deal with the problem as soon as possible. Q: Someone sniped my map. What should I do? A: First of all, let me explain sniping. "Sniping" is a form of voting abuse in which someone gives a map a low rating (typically zero), not because they actually believe the map deserves that rating, but for some other reason - to annoy the author, to get back at someone they've been arguing with, to knock a map below theirs on the Hot Maps page, to swing the average rating more than an honest vote would, whatever. It's important to remember, though, that not every low rating is sniping! If your map is getting low ratings, it's quite possible that this is because your map isn't very good. Even if your map has been getting good ratings and someone rates a bit lower, it's not necessarily sniping - not everyone likes the same sort of thing, and some users tend to be more generous with ratings than others (eg. some people give a score of four only to excellent maps, while others give it to any map they think is reasonably good). After all, if we all agreed we wouldn't need an average rating! What do we do about sniping? The best solution to snipers is simply to ignore them. Remember that a lot of these people are trying to annoy you, so getting all upset about it will only encourage them. Ranting about it will either result in no response, or in an ugly flame war which results in both you and your opponent getting temporarily banned from NUMA. Most snipers will get bored and go away after a while if you don't react. Q: Am I allowed to have multiple accounts? A: Having multiple accounts (known as multi-accounting) is NOT ALLOWED if the accounts are being used to place votes. Anybody who is discovered multi-accounting without contacting the NUMA Administrators via IRC, the forums or NUMA about which accounts they own will have all accounts that belong to them temporarily or permanently banned based on the actions taken with those accounts. You are allowed to have a second and sometimes even a third account IF YOU HAVE A LEGITIMATE REASON (for example, a collaboration account between you and another author or an account to post maps from a map pack that you made) for having these accounts. To prevent yourself from being suspended/banned, be sure to contact the NUMA Administrators on NUMA, the NinjaRobotYeti forums or via IRC (irc.mountai.net) and let them know the reason you're making another account and the name of that account. Rating privileges will be disabled for any accounts beyond the first. Q: NUMA won't let me log on after repeated attempts. What do I do? A: This is a common glitch that usually fixes itself after a couple of days. If it still lasts after 4 days, contact a NUMA administrator at "[email protected]". A: The current administrators, moderators and reviewers can be viewed in the Who's Who section under the "Other" tab. Q: What do moderators do? Moderators mostly maintain the social aspect of the website. They do this in various ways but the main way is by removing offensive (use this term loosely, please) content from the site or from the eyes of the general public. Q: Can I become a reviewer? A: Possibly. Applications are only accepted when there is a need for more active Reviewers and from those applications only a few are selected. Bear in mind that this is an extremely popular position and many applications are sent in, so try not to feel disheartened if you're not successful. All maps on NUMA need feedback so there's still plenty of opportunity to put your opinion across. Q: I keep seeing acronyms such as AGD, DDA and FBF on NUMA occasionally. What do they mean? A: Explanations to most if not all the acronyms you will come across on NUMA can be found here. Last edited by origami_alligator on 2010.01.12 (08:11), edited 28 times in total. The following information is a basic guide to the userlevels function. For more detailed information please read the wiki on NUMA Hacking, recently edited by Avarin. %3A - This is used specifically for the "author:" tag. You replace the ":" with %3A when doing author: searches of any kind. + - This is used for separating tags. NEVER USE THE & COMMAND TO SEPARATE TAGS. This should get you around the userlevels function and do almost anything you want it to. Last edited by origami_alligator on 2008.10.10 (20:05), edited 2 times in total. This post by southpaw is awesome and incredibly helpful, so I split it and made it it's own topic. I'm not sure how to pin it though... so if any of the global mods wants to be a pal and do that for me, I'd be grateful. Thanks for writing this southpaw, really great work. This will help lots of people. Mmmhmmm. Useful thread, this one. This goes by the (regrettable, IMO) name of NUMA hacking. I just updated its N Wiki page to be compatible with new NUMA. It's very complete now. Enjoy. It took a few hours spread over 3 days to put all that down and organize it. I've been meaning to do it for months, but I knew it was going to be a lengthy affair, so I put it off until I saw the original thread that sparked this. EDIT: Also, I thought that NUMA now had a way to do searches for tag1 or tag2, but after experimenting a little, I can't figure it out. This was in the very first post Arachnid made on new NUMA, but that has since been pushed off the page, making it irretrievable for the moment. So is there an "or" search function or not? Avarin wrote: So is there an "or" search function or not? Edit: Of course, that doesn't give you the userlevel data for the search, but you can just replace "browse" in the URL with "userlevels" (without the quotes). Avarin wrote: This goes by the (regrettable, IMO) name of NUMA hacking. I just updated its N Wiki page to be compatible with new NUMA. It's very complete now. Enjoy. That's really great Avarin. I enjoyed reading through that, as it was clear and concise. For some reason when I type things up people always have a funny way of typing the same thing in less words and the same amount of detail. Maybe it's because of all those years of bullshitting essays with random sentences that barely connected to -- there I go again. I encourage others to read through Avarin's wiki edit as it seems to be full of more information. Wow, that's really nice. Comprehensive and not lengthy or boring to read. Great work Avarin, you get a gold star in my book. Thanks, southie and epigone! Glad you liked it. southpaw wrote: That's really great Avarin. I enjoyed reading through that, as it was clear and concise. For some reason when I type things up people always have a funny way of typing the same thing in less words and the same amount of detail. Maybe it's because of all those years of bullshitting essays with random sentences that barely connected to -- there I go again. Mind you, I didn't just sit down and punch that up. As much as I wish it didn't, that kind of writing takes time. It probably took me a good 6 hours, maybe more, to get everything (organizational structure, concepts, definitions, examples, external links, and general wording) just right. But I enjoy sharing my knowledge, and I enjoy reading and writing in that encyclopedic style, so that's why I took the time to do it. One quick question, is there any way to search the featured maps section? I tried and failed to narrow down the list of featured maps into a list of featured action maps. Am I just being an idiot? Genius! I hadn't realised that they were automatically tagged as "featured", thanks for the help. By the way, I forgot to point out that %3A is simply the hex code for a colon. Just like %20, which you've probably seen many times before, represents a space. That's why it's here for easy reference. OK, is there any way to search for a map by it's title? This is kind of like having a phone that can do everything you can think of except phone people. It's really really dumb not being able to search for a map using search. I tried using title: but it didn't seem to work. This is getting rediculous. The tag-based searching system is fairly useless. I miss being able to sort by rating too. Now if I want to find the new recent hits, I have to go through all the other maps too. This is essentially a search bar that doesn't search. Technically it does search, but not for a map, but rather some property of a map which no one will remember. In an effort to remove the importance of ratings, and make searching "better", NUMA is ironically left with no more useful functionality before the big change, and some of the most useful things are gone. It's much less functional now. I've never used the tag system to search for anything except what NUMA could normally do (action, race). And now, thanks to the tags, that doesn't work very well anymore since people don't tag stuff the same anymore. Customization does not mean functionality. Simplicity does not always mean improved. [spoiler=(Click here to see what each level and half-level means in terms of updates per time period)]NOTE: If I just add a bunch of comics in one day, but plan on going back to normal after that, I probably won't update the status. + Dead: Canceled. Done. Maybe you'll get a random comic like once a year, but it's pretty much done. + Loitering: Like comatose, but for short amount of times. + Semi-Active: One every 2 weeks...ish?